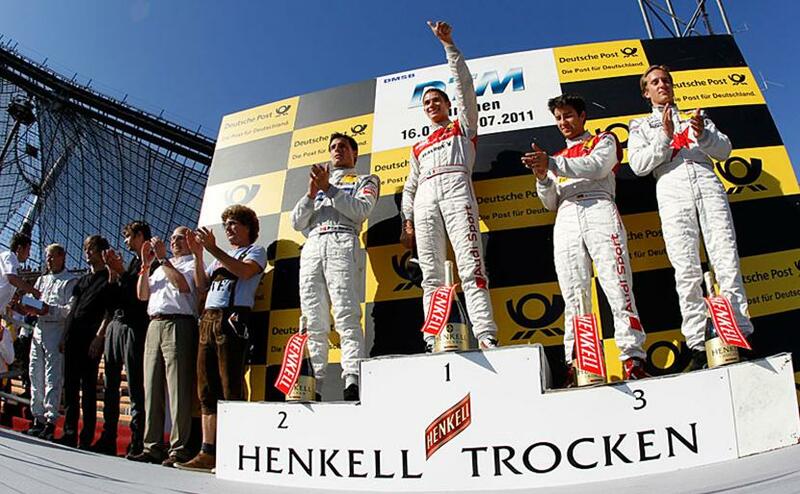 Great weather, a great show, great racing: the DTM is in the Bavarian capital of Munich. Spectators enjoyed the maiden appearance of the most popular international touring car series in the unique environment of the Olympiastadion and were treated to a fantastic show. Next to a demonstration by a Red Bull Racing Formula 1 car, autograph sessions, concerts and stunt shows, the knock-out races of the DTM drivers particularly thrilled the fans. In head-to-head duels, the drivers were fighting it out at the 1.192 kilometres long asphalt track, specially installed for the occasion, for the victory of the day. In qualifying on Saturday, brand-internal battles were held to determine the fastest Audi and Mercedes-Benz driver. The two winners then took on each other in the finale. Italian DTM novice Edoardo Mortara succeeded in finding the best balance between acceleration, ideal line and braking at the track with its six right-hand and four left-hand corners and two chicanes. The Audi driver surprised the opposition and was delighted with victory on the opening day of the show event: “This is great. The atmosphere in the stadium is unbelievable. Bruno and I were attacking flat-out and fortunately, I was just that little bit quicker.” In a thrilling finale, the 24-year old just managed to beat Mercedes-Benz driver Bruno Spengler from Canada. In spite of his defeat in the finale, the DTM points’ leader thoroughly enjoyed himself: “This is a great variation from the regular DTM races and I really like it.” In the semi-finals, Mortara and Spengler beat Audi-driver Mike Rockenfeller and Renger van der Zande (Mercedes-Benz) respectively. On Sunday, the battle is Audi against Mercedes-Benz. The results from Saturday are the basis for the pairings for the rounds on Sunday. Moreover, fans will not only get to see a support programme with plenty of variety, but also two Formula 1 cars in action: Nico Rosberg and David Coulthard will go out on track with the Mercedes GP and Red Bull machines. On Saturday already, the DTM premiere in Munich lured VIPs to the “new race track” in the Olympiastadion. John Lasseter, creative director of Disney and Pixar (among others ’Cars’), enjoyed a passenger ride with Susie Stoddart in the AMG Mercedes C-Class as a guest. Actors Bettina Zimmermann and Thomas Kretschmann and ex-Formula 1 and DTM driver Mika Häkkinen watched the DTM show on site.